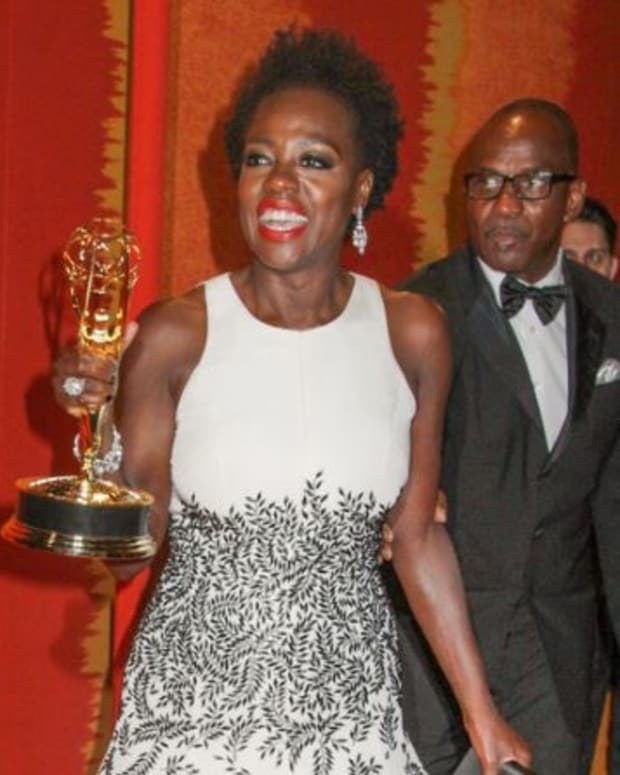 Nancy Lee Grahn is still trying to make amends for those boneheaded tweets she made the night Viola Davis took home the first Emmy award ever given to a black lead actress on a primetime television show last year. The General Hospital actress will speak today as part of a panel at The King Center in Atlanta on the lessons she learned following her comments going viral. RELATED: General Hospital&apos;s Nancy Lee Grahn on Viola Davis&apos; Historic Emmy Win: "She&apos;s Never Been Discriminated Against"
When I first saw this news, I rolled my eyes. She posted tweets reeking of ignorance and white privilege, then proceeded to double down on them as she "apologized". Now she&apos;s being afforded the chance to speak on a stage at a center connected with the world&apos;s most famous civil rights legend. Later, while really giving it some thought, I wondered, "What if she is truly sorry?" Lord knows I&apos;ve said crap on social media I&apos;ve regretted. It is to her credit she&apos;s willing to sit on that stage and take her lumps, when she has to know cynics like me will be skeptical. The article goes on to say a director at the King Center, who happened to be a fan of Grahn&apos;s from her Santa Barbara days, reached out to engage in a dialogue that led Grahn to this point of self reflection and discovery. Ah, the power of Julia Wainright Capwell! All jokes aside, I personally have no business continuing to judge Grahn. My late grandmother used to say, "You have no heaven or hell to put anyone in, so let God do the judging." Holding contempt for someone whose acting chops you&apos;ve always greatly admired—while blogging and podcasting about the genre she toils in five days a week—is toxic and exhausting. For these reasons and many more, I hope Grahn really has learned important lessons about race, privilege and the power of social media. UPDATED: GH's Nancy Lee Grahn on Viola Davis' Historic Emmy Win: "She's Never Been Discriminated Against"